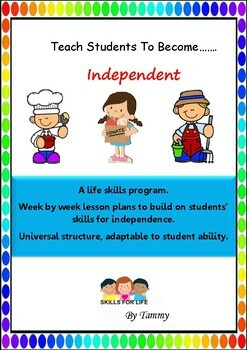 A complete week by week life skills program building on students independence skills. 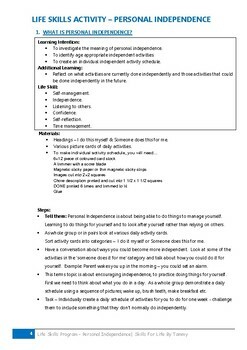 An adaptable program of 1 hour, weekly lessons, more than 10 weekly lessons available, so could be used as a term or unit of work. Adaptable to student ability. 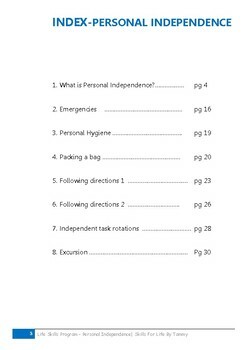 In this unit, students learn how to become independent, know what to do in an emergency, know how to recite personal information, why personal hygiene is important, give and follow directions and practice functional skills such as folding clothes, rolling a sleeping bag, making a bed, ironing, washing and cleaning.